The Girl Name of the Week is Adelaide. 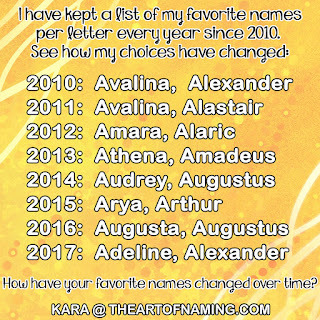 I chose this name off of my latest blog post "Old-Fashioned, Vintage Girl Names." The name Adelaide has been around since the SSA began recording names in 1880. It comes from the German "Adalheidis" which is composed of the elements "adal" meaning "Noble" and "heid" meaning "kind, sort, type." Some variations that stem from the same root word as Adelaide are Alicia, Alice, Heidi, Alix, Alise and Allison. Diminutives include Ada, Addie, Addy, and Della. 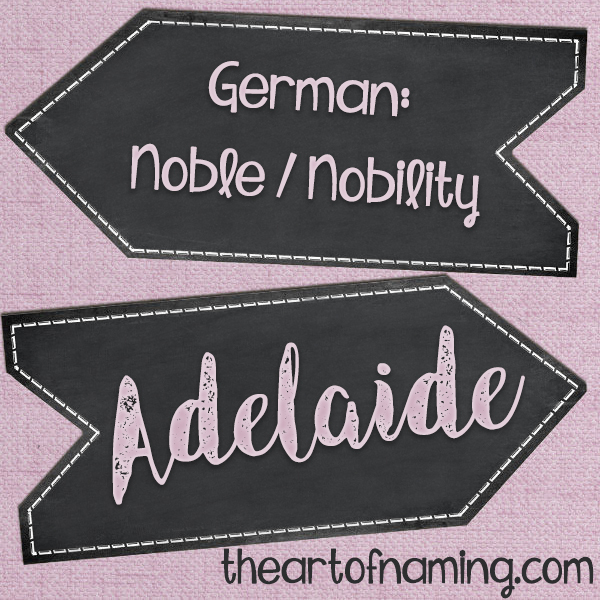 The name Adelaide was borne in the 10th century by Saint Adelaide, the wife of the Holy Roman Emperor Otto the Great. She was known as "a marvel of beauty and goodness." In the 19th century, the name became common in Britain due to the popularity of the German-born wife of Britain's King William IV, "Good Queen Adelaide." The city of Adelaide, Australia was named in 1836 after her. So this name not only means "noble" but it has two historical figures who were widely regarded as "good." Let's look at the numbers! Before the name's modern spike in popularity, the year with the most number of births was 1917 with 537 births which ranked the name at #268 on the Top 1000 chart of its time. Adelaide has only had two popularity spikes, the first starting around 1912 and lasting until it declined in the mid 1920s. From the 1950's to the 1990's, Adelaide was rarely used. It ranged from 9-70 births a year, but spent a lot of time in the 20-30 range. However, starting just before the year 2000, Adelaide gained more usage. In 2005, it landed in the top 1000 (#901) for the first time since 1948. The n ame has been climbing in popularity over the past few years, reaching a high of #258 in 2016! That amounts to 1,227 births for the year! I suspect that Adelaide name will continue gaining popularity. The nickname Addy has been extremely popular for other names like Addison. Adelaide is a great alternative if you wish to use that nickname. What do you think of Adelaide? Or perhaps one of the other variants that I listed that come from the same German root?